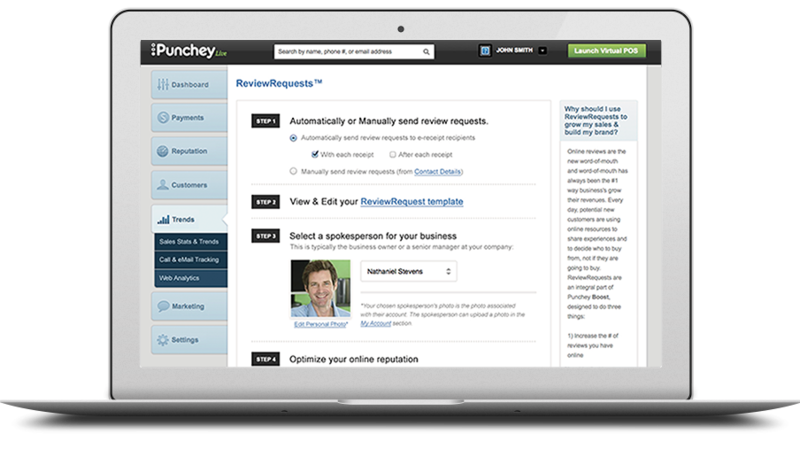 Reputation Manager - Manage Reviews | Punchey Inc.
Get automatic feedback to grow your business. 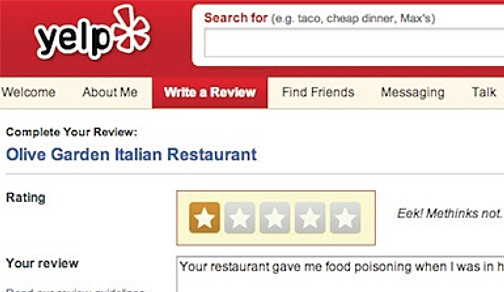 Stay ahead of bad reviews and share the good ones. "I'm able to easily get valuable feedback on my business, coach staff and increase my online customer engagement. " 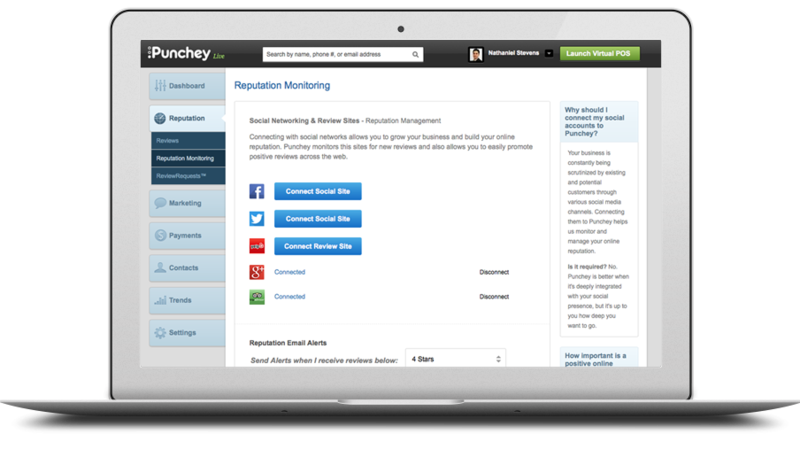 Link your social media sites with Punchey and keep tabs on everything being said about your business online. Updates are sent to you at the end of every week summarizing important social media activity. 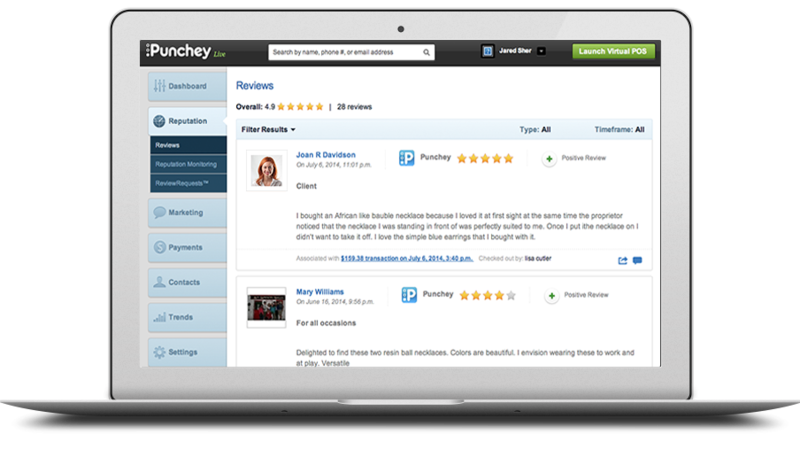 Punchey automatically scans your Yelp, Facebook, and Google+ profiles—plus dozens more—and alerts you when new information happens and making it easy to respond. Every night, Punchey sweeps the Internet to make sure that your business details and contact info appear correctly in every site listing. 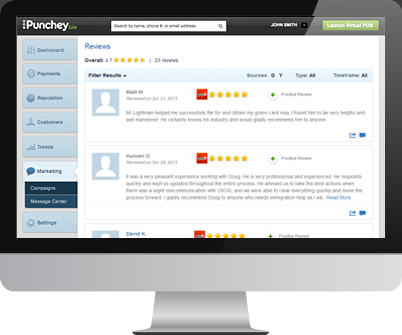 Punchey automatically scans your Yelp, Facebook, and Google+ profiles—plus dozens more—alerting you when new information happens and making it easy to respond. Automatically send feedback request emails to customers then help decide if their response gets published online or stays private. Appoint a trusted employee to respond to negative reviews and encourage good ones. Increase your number of overall reviews and speak directly with people who can bolster your business’s brand. 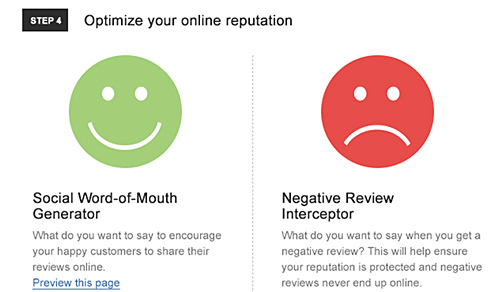 See which customer is associated with each review your business receives. No record of a transaction for a negative soapboxer? Respond publicly or privately and inquire about the review. Your business is constantly being scrutinized by existing and potential customers through various social media channels. Recent studies show that 74% of customers will change their mind based on a bad review (Harris Interactive). 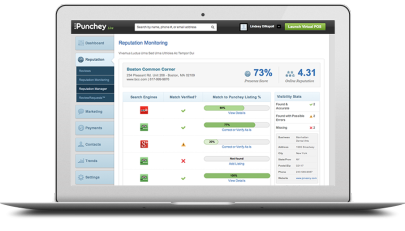 Punchey's Reputation Monitor tool aggregates all your reviews and mentions in one place so you can efficiently and affordably manage your online reputation. Automatically scan and report on your social media presence, and track performance back to your payment stream. It's the easiest way to keep tabs on what the world thinks about you. A Harvard Business School study showed that a 1/2 star increase in a business's online rating resulted in a 5-10% increase in sales.